Benefits for our members provided by our partners. We know balancing your work, life, and health can be hectic. Here at Nomadworks, we do our absolute best to provide a space to nurture your business, as well as your mental health. 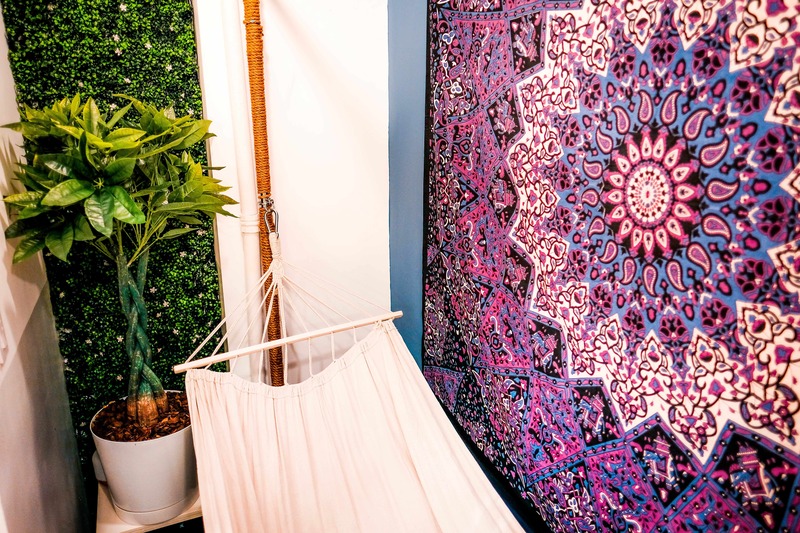 Our Nomad Meditation Lounge allows just that, featuring a comfortable hammock, calming ambient music, relaxing essential oils, and privacy curtains to limit distractions while you find your center. Meditation has been known to reduce stress, promote emotional health, lengthen attention spans, control anxiety and much more. Whether you're taking a 15-minute break after lunch to gather yourself, or a full hour to find yourself, we encourage our members to take full advantage of the joys of meditation! Bellavita 360, run by Izabella Steele and Carla Minaya, is a full-service wellness company serving the New York area. They are known for providing the best amenity management, such as top-rated yoga, zumba, pilates and more. Known for their groundbreaking seminars and workshops, the entire Bellavita staff is committed to cultivating wellness and spreading smiles. Get access to their premium yoga classes complimentary as a Nomadworks member! Style Haus by Crystal Carrero is your personalized health and beauty experience. Having done campaigns with DKNY, Rado Watches, and Zayira, she offers 1 on 1 private hair and makeup appointments with 100% all natural products. Crystal provides full beauty consultations to men and women of the greater New York City area to keep you looking your best. 20% off all member appointments!